Communication sophomore Kimani Isaac speaks to administrators at a community dialogue. Isaac voiced her concerns about the progress the Books for Cats initiative has made so far. Director for undergraduate education Lee West announced a series of updates on the Books for Cats initiative at a community dialogue on Wednesday, including ongoing conversations with other parts of the University to find alternatives to expensive textbooks. Also at the dialogue, some students raised with concerns about the program’s availability and scope of resources offered. Books for Cats — a program started this year to provide first-year, low-income students with textbooks and course materials for a number of STEM classes — has expanded from including materials from 14 classes Fall Quarter to 24 classes this quarter, with plans to cover 29 classes next quarter, West said. She added that more than half of the students deemed eligible by the Financial Aid Office are currently taking advantage of the program. 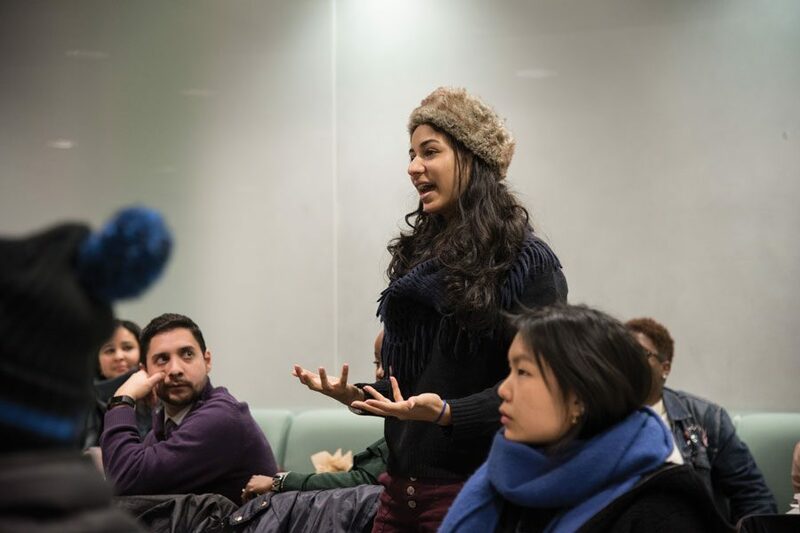 Students at the dialogue raised concerns over the cost of course packets, which are typically used in classes that require selections from multiple books rather than a single textbook. Weinberg associate dean Mary Finn told students at the dialogue that Weinberg has been sending out “memos” to their faculty each quarter encouraging them to use less costly materials whenever possible. Although this is not part of the Books for Cats initiative, Finn said several faculty members have told her that they have made a zero-cost course at the encouragement of the department. Communication sophomore Kimani Isaac said that while sending out memos to faculty is a good idea, there needs to be a better way to track if faculty are actually listening to the memo. Isaac added that if professors got the “support they need” to use software already available for faculty and students and felt “safe and comfortable” using Canvas, then more professors could opt for readings online instead of a course packet. Another concern brought up at the dialogue was the cost of online homework systems, such as MySpanishLab, used in language classes. Books for Cats is partnering with the bookstores to identify courses in which an online homework system is an added expense, West said. Several students also voiced their concerns about the program’s availability — it currently only covers STEM courses and is only offered for first-year students. West said during the dialogue that administrators would add what was brought up in the meeting to the list of concerns being considered for next quarter and in the future.